Players from Sandwich and Martha’s Vineyard formed a No. 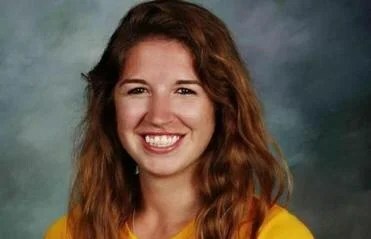 14 to honor injured Boston Pride forward Denna Laing. Denna Laing has long been an inspiration to young female athletes in the state. A three-sport athlete at Noble & Greenough in Dedham, the Marblehead native was a member of five Independent School League championship teams before she graduated in 2010. Laing then captained the women’s hockey team at Princeton for two years before skating for the Boston Blades of the Canadian Women’s Hockey League. This year, she joined the Boston Pride of the National Women’s Hockey League. But on New Year’s Eve, playing in the Women’s Outdoor Classic at Gillette Stadium, Laing lost her footing and suffered a significant spinal injury. As Laing recovers, teams around the state have been quick to support her. The Boston Pride hockey player who was injured in last Friday’s Outdoor Women’s Classic at Gillette Stadium has no feeling in her legs. “Before she had her accident, she was extremely inspirational because of what she accomplished in her career already,” said Anna Hurley, a senior captain for the Sandwich girls’ hockey team. “Now she has her accident, and she’s doing everything she can to stay strong. Hurley got her teammates together and came up with a way to show support. Before their game against Hingham Jan. 9, Hurley and the Lady Knights wore black and yellow hair ties and put hearts with Laing’s No. 14 on the back of their helmets. 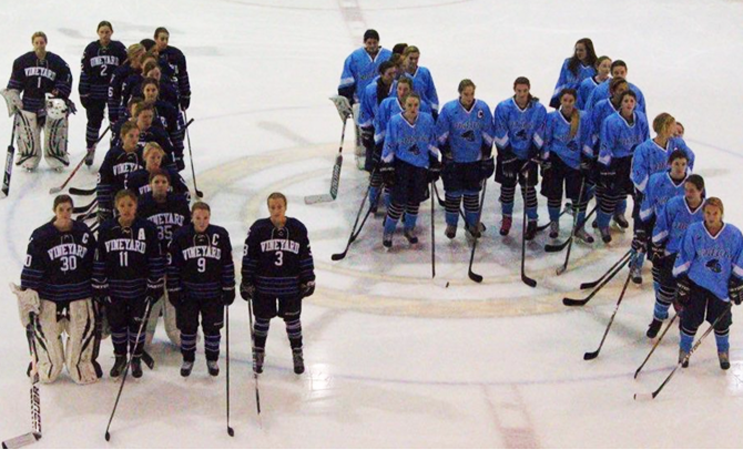 After Sandwich’s Jan. 13 game against Martha’s Vineyard, players from both teams formed a “14” at center ice. “I just want people to understand that there are women out there that have worked so hard at a sport,” said Hurley. “Just because she got an injury, I think that was news-breaking, so that got her story across. In Laing’s hometown, the Marblehead girls’ hockey team organized a Denna Laing Night last Saturday. Admission for the game against Medford that night went to the Denna Laing Fund, and tables were set up so people could make cards for Laing.